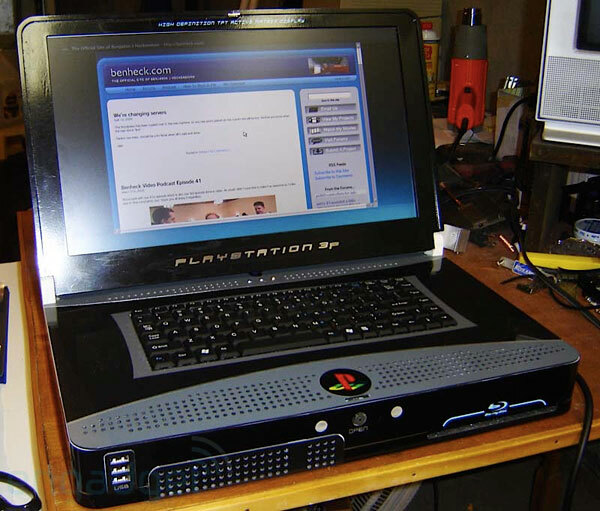 In case you haven't already heard; expert computer engineer Ben Heck created a laptop made out of a Playstation 3 unit. Lots of work was obviously put into it. Weighs over 16 pounds so it might be a bit tough to carry around. Check out more of this masterpiece in computer moding here at the Engadget page. Also check Ben's site for more of his work.